This article will discuss some main blockchain problems that everyone should be aware of. Blockchain started its journey back in 2008 when Satoshi Nakamoto releases the first blockchain based peer to peer global payment system known as bitcoin. Blockchain was practically implemented for the first time in history back in 2008. There was a lot of fear, uncertainty, and doubt regarding the future of blockchain. Bitcoin is the first practical example of blockchain technology. After Bitcoin, another project joins the club with more innovating technology. Ethereum introduces the concept of smart contracts technology using blockchain. After Ethereum, there are around 2000 projects are using blockchain technology with unique ideas. The aim is to revolutionize each and every sector by using blockchain technology. Each types of blockchain has its own issues. This article will discuss the overall blockchain problems that need to be solved. The more scalable and user-friendly blockchain technology will take the lead in future. There were some issues with bitcoin blockchain. The world demanded a more powerful blockchain that can solve the issue with scalability as the bitcoin blockchain was not scalable. The bitcoin blockchain is also known as 1st generation blockchain. After the failure of bitcoin blockchain, Ethereum blockchain cam with an idea of more scalability and more transaction per second. Furthermore, the Ethereum introduced the concept of smart contracts. But the same issue arose up. The Ethereum blockchain failed to resolve the issue with scalability. The Ethereum blockchain is also known as 2nd generation blockchain. The world needs a more powerful blockchain technology. Several companies are struggling to provide the world with more scalable and robust blockchain. The leading companies are Cardano, Zilliqa, EOS, and AION etc. There will be the more generation for blockchain in near future. But the world will only choose the one which has more scalability and efficiency. The applications of blockchain are numerious. At the same time, the users are facing the issues with blockchain. There are a large number of blockchain problems that need to be solved. Around 2000 projects are listed on Coinmarketcap aiming to provide the world a decentralized internet. Let’s discuss some core blockchain problems that need to be solved in 2019. The core problem with blockchain is the issue with scalability. The bitcoin blockchain has a transaction speed of 7 TPS. Similarly, Ethereum has a transaction speed of 15 TPS. Hence, bitcoin and Ethereum blockchain are failed to provide the users with scalability. The users need a more scalable blockchain that meets the user’s requirements. Sometimes, the user has to wait 4 to 5 hours to complete a cryptocurrency transaction. This can create a problem while implementing the blockchain in the real world. The new projects are entering the market to resolve the issue with scalability. We are entering into the era of 3rd generation blockchain where we will find more scalable, robust and efficient blockchain technology. Following projects are aiming to resolve the blockchain problems. Let’s discuss the blockchain problems in detail. One of the main ‘blockchain problems’ is the new technology. The blockchain is a new emerging technology. It will take some time for the world to completely understand the blockchain technology and its potential. The educational institutes around the world are adding the blockchain in their curriculum. The government of Pakistan has also launched a platform to provide the new generation with the knowledge of blockchain technology. That’s the reason the companies don’t have the required number of blockchain developer. Even the huge cryptocurrency exchanges like Binance and some others are still looking for blockchian developer to maintain their applications. There are still some issues with deploying the blockchain due to the lack of experts in this field. Now, as the world is adopting this technology and institutes are paying attention towards blockchain technology, we can say the future is really bright. Being a new and innovating technology, there are few experts in the field of blockchain technology. We need more experts to meet the requirements. The companies are looking for blockchain experts around the world. This deficiency of blockchain developer lagging it behind. But recently, the new generation shows a lot of interest in this emerging technology. A large number of the institution are now adding the blockchain as a major subject to their course. In 2018, there was a huge demand for blockchain experts. Similarly, there is still a lot of deficiency of experts in this field. At the same time, the students are showing their interest in this new technology. We will witness the more blockchain experts around the world in near future. Another blockchain problem is the trustless system. Trust issue arises due to the anonymity of blockchain technology. As the blockchain based on a distributed ledger and no central authority can control the data. When bitcoin started the journey back in 2008, the internet giant label it scam. But the bitcoin continued its journey despite of negative news. In December 2017, it touched 2000$ and we witness the people who become billionaires within few weeks. The people are still confused as the bitcoin price is back to 3800$. The fluctuation in bitcoin price is creating the FUD. Actually, whales are playing around with bitcoin and altcoin to create the FUD. There are no proper rules and regulation to maintain the bitcoin price but in the future, we will witness it. Now, the market is more mature as compared to 2017. There is no huge pumping and dumping. We can say the stability cryptocurrency price will make it more trustworthy. Blockchain technology is based on a distributed database. The data is available on a peer to peer to the network. Hence individual can’t handle the data management and storage. It’s difficult to manage the data available on different computers around the world. The person who is storing data on blockchain doesn’t know where the data is being stored. But we can expect improvement in data storage and backup in near future. The next generations of blockchain will be more scalable and efficient. The blockchain was built to provide the users with privacy and reliability. Now, as time is passing, the different issues with blockchain are arising and different companies are working to resolve the issues with blockchain. The next generations of blockchain will use the sharding and crosschain technology to help the blockchain in gaining user trust and scalability. The blockchain technology is said to be the next internet. It’s going to take over the internet in near future. The progress countries are already planning to adopt the blockchain technology. But not all countries are supporting the blockchain equally. The developing countries are still planning to adopt this technology. There are no proper rules and regulation to adopt this new technology. The G20 Conference is working to legalize the cryptocurrency and blockchain technology. At the same time Pakistan, Bangladesh, India, China etc have banned the dealing in cryptocurrency. The Governments are taking actions against the individual and companies dealing in cryptocurrencies. It will take some time for the Governments to understand the potential of cryptocurrencies. There is a need for proper rules and regulations to deal with cryptocurrency and blockchain based projects. Hackers are trying to steal the user credential for hacking purpose. Have you ever heard? ‘blockchain can’t be hacked.’ This is totally a misconception. Hackers can steal the data form anywhere and any part of the world if you are using the internet. No doubt blockchian is secure, but the user’s security matters a lot. If you are not following the proper security guideline, your account can be compromised. The users should take some steps to secure their account from hackers. Apply two-factor authentication to your account. Use Incognito mode while using the browser. Never click irrelevant links on any website. Always make sure to use a legit URL. Different companies are trying to make the blockchain project more secure. At the same time, the user should have proper training before using the blockchain base projects. The blockchain is a network of the distributed database. The data is available on the different computer available on the network. Whenever a new block is generated, it has to join the chain. It costs a lot of computing power to approve a newly generated block. As the new block join the chain the miners have to prove that block as legit. According to a survey, blockchain technology will consume most of the power of the world in verify transactions. For example, in the case of bitcoin transactions, miners use the heavy system and ASIC miners. It costs a lot of energy consumption to approve the bitcoin transaction. The reason is the proof of work consensus algorithm behind bitcion mining. The bitcoin algorithm is not environment-friendly and it costs a lot of energy. We need a blockchain technology that has low energy consumption. Ethereum introduces the idea of proof of stack algorithm to lower the mining cost. But it failed to provide the users with scalability. The companies are working on the 3rd generation blockchain to provide the world with low cost and more scalable blockchain. One of the main blockchian problems is the issue with transaction and block verification speed. The bitcoin blockchain is based on proof of work (PoW) consensus algorithm. The transaction speed is near about 7 Transactions per second. The user has to wait for the approval of the transaction. It takes several hours to carry out a bitcoin transaction in some cases. Ethereum has a transaction speed of 15 TPS. Hence, it is not sufficient to meet the requirements of users. Different companies are working to resolve the issue with transaction and mining speed. Zilliqa is working on sharding technology to introduce the more scalable version of the blockchain. Whenever a new user wants to buy cryptocurrency based on the blockchain, he has to follow some steps to complete the transactions. The process is a little bit complex for new users. Recheck if the URL is showing correctly in the browser. Upload a file containing the string of secret numbers and letters. Set the amount to send along gas limit. Now, wait and see if it goes through. The process is a little bit complicated and this is really annoying for new users. The new user lost his money in most cases due to the complicated process. Pundix has launched their XPOS machine. The user will be able to purchase the cryptocurrency at physical shops with the help of this machine. We need an efficient and user-friendly crypto wallet to store our coins. As the blockchain technology is growing rapidly, the issue with the complexity. Cars, planes. Game consoles, TV, printers, telephones, mobile phones, tablets, the internet etc have to face a lot of difficulties in the early era. We come to know about these amazing technology with the passage of time. Similarly, blockchain is in its early phase. It will take some time to adopt this technology. There are a number of blockchain problems but we will find the solution with the passage of time. I hope this article will let you know about some basic “blockchain problems”. 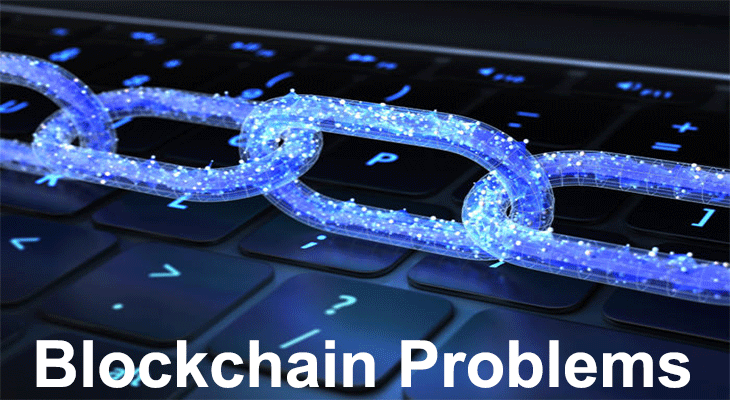 We also discuss the solution to these blockchain problems. Share this article with your friends and fellows to let them know the problems with blockchain technology. Glad to see you here! !